Is Madrid worried Catalonia’s independence push could spread to other regions, and how might the situation be solved? 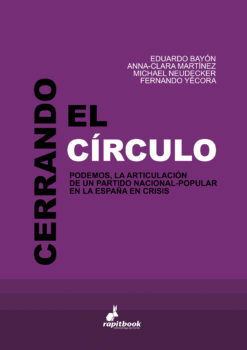 Political scientist Edu Bayón analyses the current state of play. Why is the Spanish government so scared of Catalan secessionism? Could it in some way encourage other Spanish regions to try a similar approach? There is the possibility of a spreading effect. That said, in the case of the Basque Country at the moment, aside from (pro-independence coalition) Bildu and its supporters, the governing Basque Nationalist Party (EAJ) is not in favour of reigniting the pro-independence process which the former regional president Juan José Ibarretxe pushed during his time. Among other things that’s because the social movement isn’t as great as it is in Catalonia, and because the Basques have a different fiscal status thanks to the Basque Economic Agreement (which gives them a high degree of fiscal autonomy). In any case, that doesn’t take away from the fact that the EAJ gave its support to the right to hold a referendum and the Catalan independence process. But for the moment that’s where it stops, just support. Could the conflict be resolved through reform of the Spanish constitution? In Catalonia neither of the two polarized blocs has the sufficient strength to impose itself on the other. What does exist though is a significant social majority in favour of a vote taking place. Considering the unwillingness to move that the central government has shown, acting as a force of political containment in the face of the changes demanded by society both in terms of the Catalan issue as well as other political and social spheres, and faced with those who think territorial breakaway is the route to follow, there’s room for a counter-proposal of a third route that would be a possible solution: articulating a federal system, while developing the profound and necessary reforms at state level. This route would involve a deep revision of the constitution and have to be voted on in a referendum, and could repair the broken consensus that Catalonia was part of. The immigration minister in Belgium suggested Carles Puigdemont couldn’t have a fair trial in Spain. Do you agree? No, in Spain there is rule of law and as such it’s unthinkable that Puigdemont wouldn’t have a fair trial in the Spanish state, if that ends up happening. At the moment, there’s too much noise ahead of the process that is just now beginning. The charges they will face are not clear and there is a difference of opinion among jurists, considering that for the crime of rebellion to take place – which incurs a minimal jail sentence of 15 years – violence and the use of force has to have occurred. Reporting by Alex MacBeth with translation by Lee Roden.